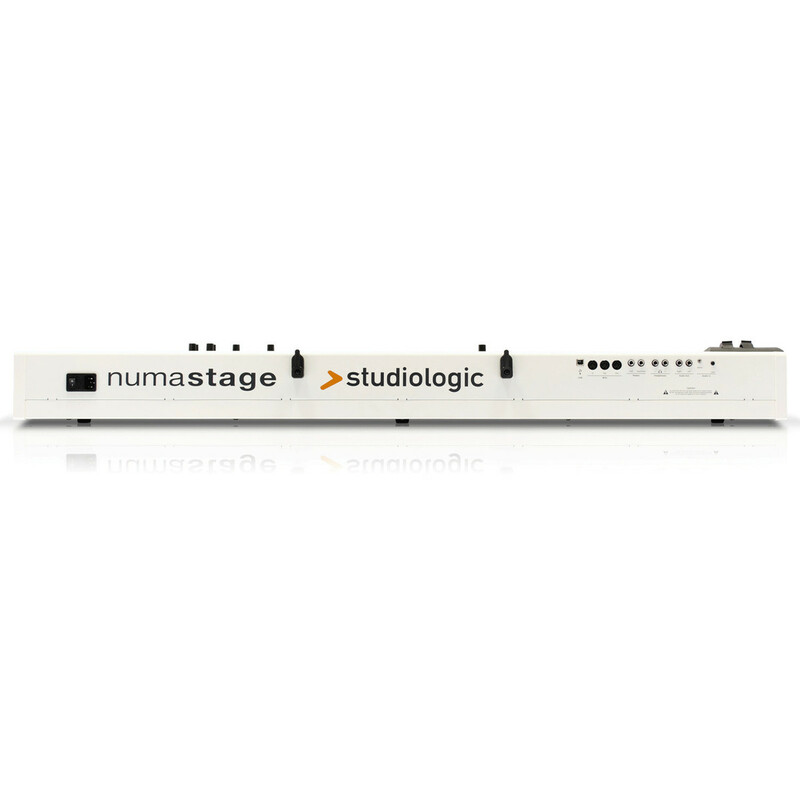 The Studiologic Numa Stage Piano is a professional, portable and lightweight stage piano with 88 keys, ideal for both studio applications and live performance. 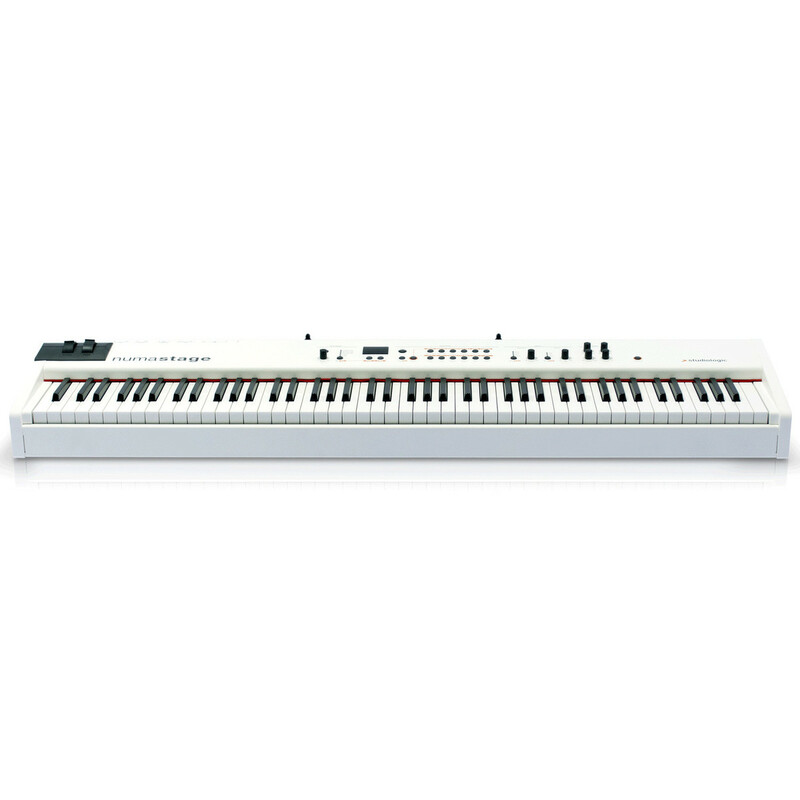 The Numa Piano features 12 different popular sounds built in with up to 128 voice options, on board effects/equalization and can also be used as a MIDI controller alongside other MIDI equipment or DAW. 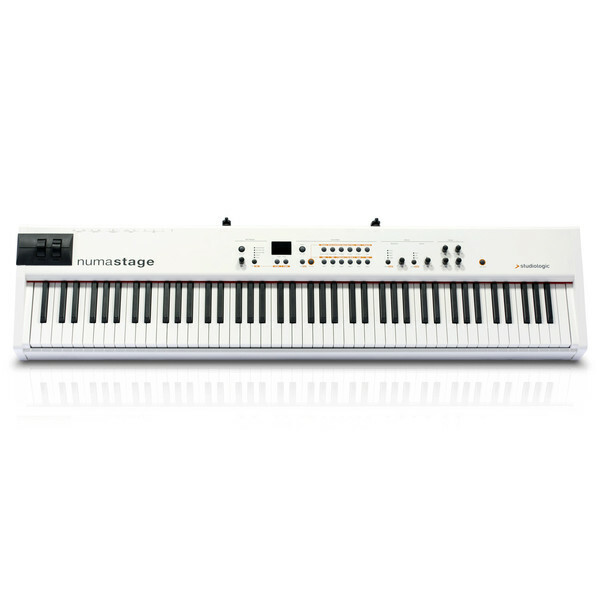 The Studiologic Numa Stage Digital Piano is a professional hammer action keyboard with 88 keys and 3 contacts per key for a fast, dynamic response. You can control 2 separate Midi Zones either in split or layer mode with the Midi Module section featured on the Numa Stage. 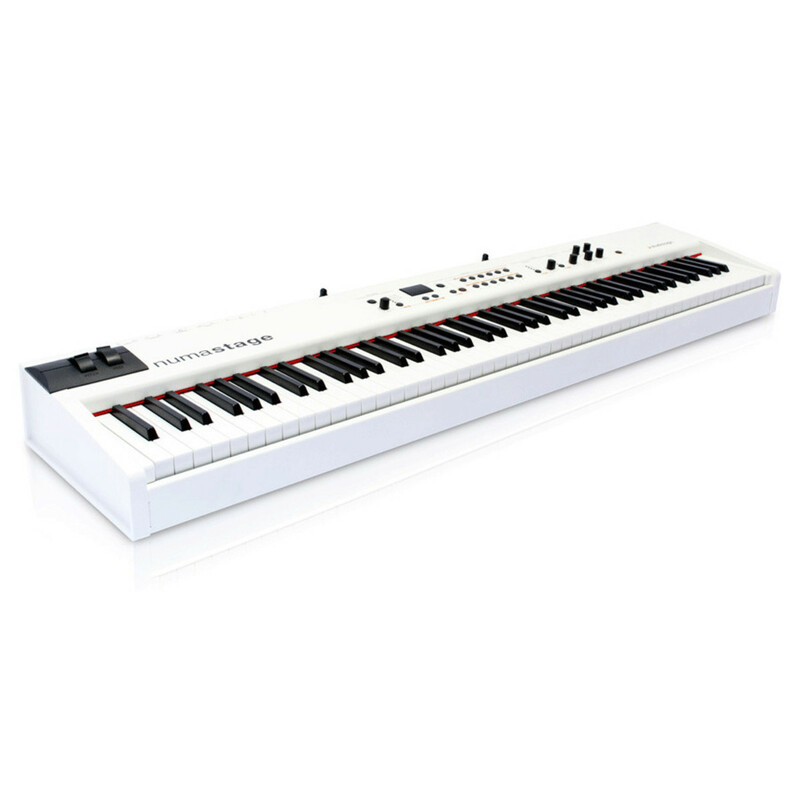 The versatile, portable, lightweight professional stage piano is great for studio and live performance, offering two natural sounding pianos for classical training and performance, as well as three electric pianos for jazz and modern music, plus vintage organs, chorus, clavinova, pads and brass. The Numa Stage provides authentic piano-like feel and response for ultimate expression, with a user-friendly control panel, allowing you to keep things simple and concentrate on your performance. Also including a MIDI section, the Numa Stage can be used as a MIDI controller, with studio effects such as reverb, chorus, rotary, tremolo and phaser. You can create and restore your own custom sounds thanks to the twenty-four over-writable factory presets, and enjoy fifty preset locations as well. 10 Velocity Curves with FATAR TOUCH system. Switch on/off button - Midi Zone A (lower) and B (upper) independent on/off controls and editing. Equalizer: Bass, High knobs; Layer/Split Balance knob; Master Volume knobs. 1300mm x 305mm x 120mm / 51.2" x 12.0" x 4.8"